Located just outside the market town of Rhayader in Powys, the green heart of Wales, sits our gorgeous campsite which embodies the natural beauty of central Wales. Situated on the banks of the River Wye, this campsite is perfect for spending long afternoons enjoying walking, cycling and fishing. Our campsite on the River Wye is surrounded by the beautiful ‘Lakeland of Wales’. By day, see scores of red kites at Gigrin Farm, explore endless hiking and biking trails, or go horse trekking from Rhayader. 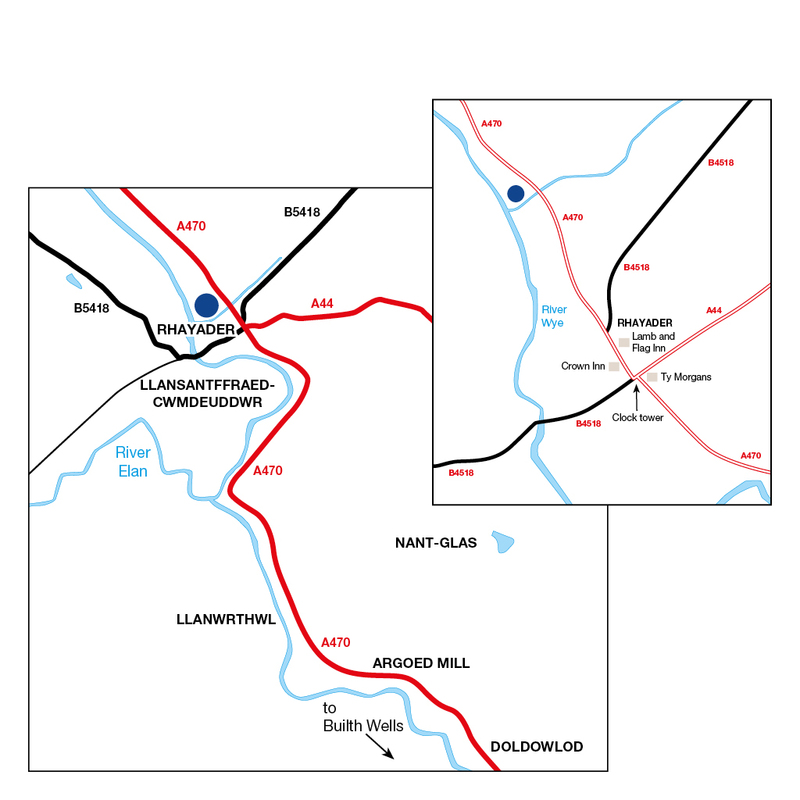 Walk to Elan Valley to appreciate the spectacular scenery, and spend a relaxing afternoon in Llandrindod Wells - a lovely spa town with great shops and restaurants. By night, look up and experience Elan Valley’s captivating starry skies – a designated International Dark Sky Park. Wyeside comes equipped with laundry facilities and two shower and toilet blocks. The neighbouring Waun Capel Park has a tennis court, all surface basketball/ football pitches and a children’s park. Rhayader town is around a 10 minute walk and has a leisure centre, town museum and plenty of pubs and eateries. Only one car per pitch. Visitor parking is limited, there is a pay and display car park at the leisure centre for 2nd vehicles. Holiday Homes are available on this site. Please call 024 7647 5328 for more information. Due to the site being within the International Dark Sky Park there are none of the usual lighting schemes therefore a torch is considered an essential. Please note that mobile and TV reception are poor – satellite is required. Bob the butcher in Rhayader town sells top quality, local meat and produce. Situated in the heart of mid-Wales, overlooking the Wye and Elan valleys, the Red Kite Feeding Centre is a family-run farm stretching over 200 acres. Witness a truly breath-taking spectacle and come face to face with the beautiful, wild red kite. One of Wales’ most photogenic landscapes, the Craig Goch Dam is a masonry dam in the Elan Valley constructed in 1904. The dam featured heavily as a filming location in the 2017 BBC drama, Hinterland. Over 72 square miles of spectacular scenery, buzzing wildlife, the Elan Valley is an area of scientific interest. The valley features a chain of stunningly still reservoirs that were built in 1893 to supply Birmingham with clean drinking water. Boasting verdant rolling hills, wild woodland and meandering rivers, the Wye Valley is the perfect place for a family day-out. In 1971, the area was designated an Area of Outstanding Beauty and attracts thousands of visitors each year. A wonderfully secluded campsite hidden in the Welsh hills.